To swap links with Investment International, please click here for more details. Yahoo! Investment International group - Click to view website - Keep up to date with all the latest news, share comments and ask questions on everything Investment International. Facebook Investment International group - Click to view website - Keep up to date with all the latest news, share comments and ask questions on everything Investment International. 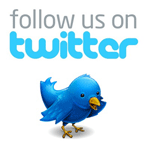 Follow us on Twitter - Click here to follow - Keep up to date with the latest news. Livejournal.com - Click to view journal - Investment International completes a weekly blog. Trading Help Desk.com - Click to view website - The Network for Traders, Economists & Investment Professionals. Foreign Exchange Advice - Click to view website - Best exchange rates, foreign exchange explained. InterNations - Click to view website - InterNations is the biggest global networking site for expats of various nationalities and their family members. Re:Locate Magazine - Click to view wesbite - finance and tax news & practical advice from Re:locate Magazine.